To print guides we are able to offer the best thanks to “sublimate”, a new screening technology at home Agfa *, can increase print quality photos with perfect control. This gives the images printed on the tourist guides a greater depth and tonal control never seen before. 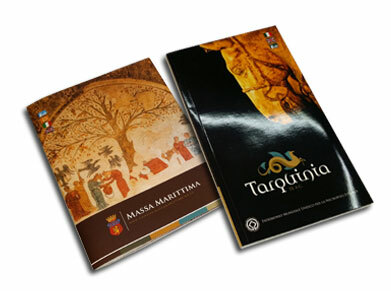 We can provide printing guidebooks in various types and sizes and in different types of processing (lamination, UV verniciture. Etc..), Ensuring our customers any kind of solution for the supply of tourist guides. glossy UV coating, glossy UV vernicitaura areas, hardcover, single cellophane, foil stamping or embossing.